I am big into craft beer these days. I have a particular fondness for American style, hop-crazy IPAs and double IPAs. So I decided to try and make some mustard with an IPA twist to it. If you prefer, you can use other beers as well, I have tried some strong tasting stouts and had success with those too. 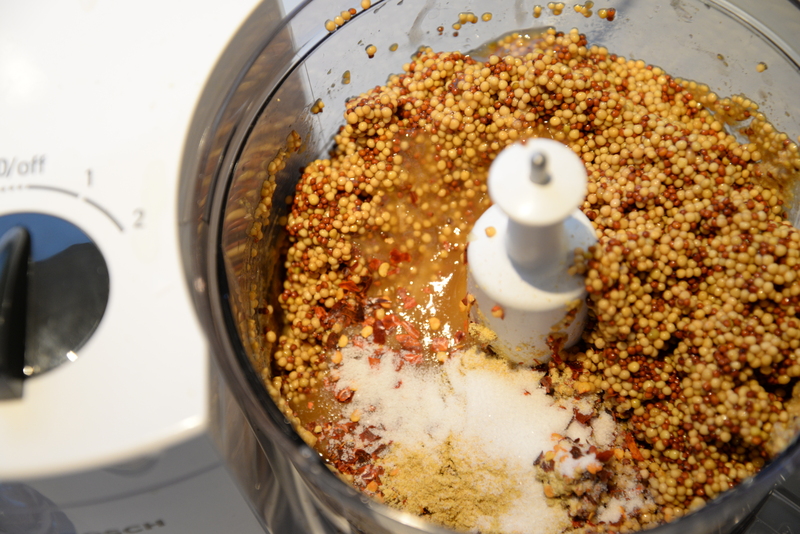 Mustard is easy and fairly cheap to make, and since the whole process requires no cooking, tasting and adjusting while going along is easy! So why don’t you make your own mustard to go with those delicious smoked brats? 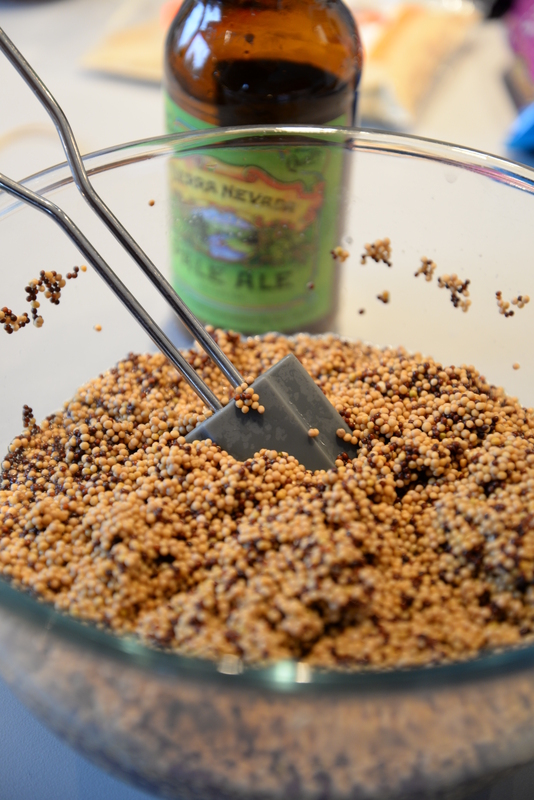 The night before making the mustard, put all the mustard seeds and your beer into a bowl, mix well, and leave overnight. This will allow the seeds to soak up all the beer. If you put this stuff in sterilized jars, it will last you weeks/months. Your mileage may vary here.